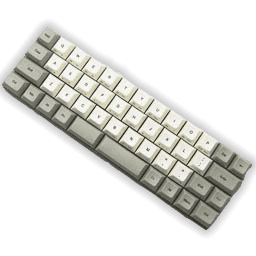 Vortexgear, or simply Vortex as more commonly referred to, is a small Taiwan based company founded in 2010 with an emphasis on making mechanical keyboards in smaller form factors, as well as keycap sets as accessories. Their most popular product is perhaps the Poker, now in its third iteration with RGB LEDs, which is a 60% keyboard having a layout similar to the keyboards on most 13-15" laptops. It relies on layers, which if you think about it is something we have been used to for ages now. The shift key when actuated activates a layer on top of the usual key base- shift + a gives A for example. 60% keyboards take this further by removing the function key row, and re-working the others into what can potentially be a more efficient typing experience with some practice. Things can go smaller though, and that is where 40% keyboards come in with an emphasis on portability added in. Until now, these were rare and usually either individual projects or produced in batches. 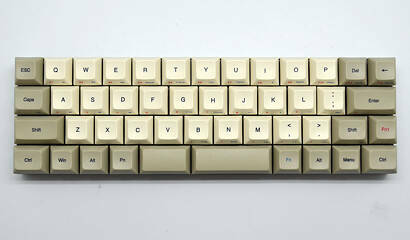 The Vortex CORE aims to change this by producing and selling worldwide a 40% keyboard, and today we get to take a look at it. As can be seen, a 40% keyboard goes even further and skimps out on designated number keys as well as some others while introducing some specific keys that aid in the use of various layers as well as programming layers in case the default layout is not to your liking. At this point there is no single 40% layout that is universally adopted so the keys and layout on the CORE will be different from those on others. Notice also the split space bar here, one of the many things we will get into as the review progresses. Let us begin with a look at the specifications in the table below. 0.40 kg / 0.90 lbs.